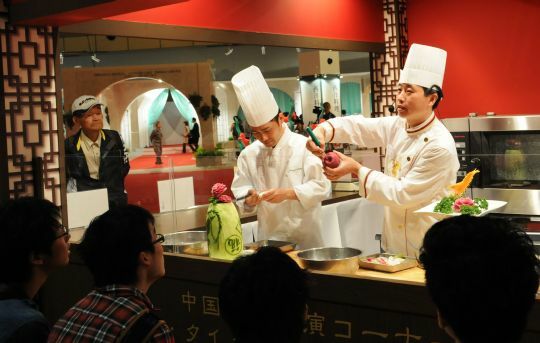 Coinciding with Japan's major holiday season that starts this weekend, Chinese dishes and cooking techniques have been attracting holiday-makers and gourmets around a booth at Japan's biggest food exhibition. 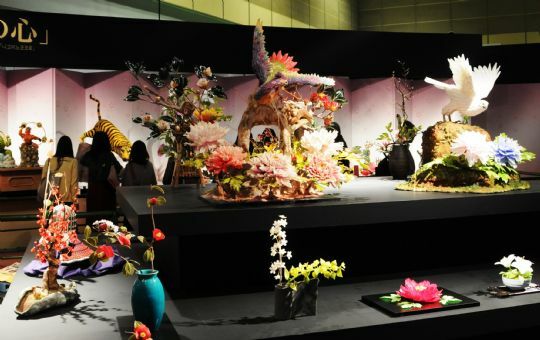 The event, a dream for any epicurean, opened on April 26 at a large exhibition facility in the western Japanese city of Osaka, which is known as "Japan's kitchen" because of its rich culinary culture. The exhibition, officially called the "International Food Expo Utage 2013 in Osaka," is being held at INTEX Osaka (International Exhibition Center Osaka) where nearly 100 various Chinese dishes, large and small, colorfully and skillfully decorated by a total of 100 Chinese and Japanese chefs, are on display at a dedicated booth to celebrate the expo's opening. Ten of the artistic Chinese dishes on exhibit are awarded each day by senior chefs in categories such as appetizers, seafood and meat dishes, warm vegetable dishes, noodles and desserts. Attendees can watch techniques for quickly slicing radish, carrots and gourd, as well as carefully carving these vegetables to different shapes of flowers, shrimps and other designs. Choh Ki Hoh, senior technician and chef and a native of China's Shandong Province, stressed that a key factor in the presentation of Chinese cuisine is how one creates "gorgeousness" to enhance its high-quality image. The 38-year-old senior chef, who has also taught Chinese cooking to young staff working locally in major hotels and students at a cooking school over the past 14 years, said that Chinese cuisine in particular requires the concept of "motion" as it is often cooked very quickly over a fire prior to serving, whereas Japanese cuisine seems to require a more "silent" presentation. "I want more local Japanese people to know more recipes and the basic concepts of Chinese cuisine, which aims to attract and please guests at the table, and I want to widely promote our food culture at these kinds of events," Choh told Xinhua. 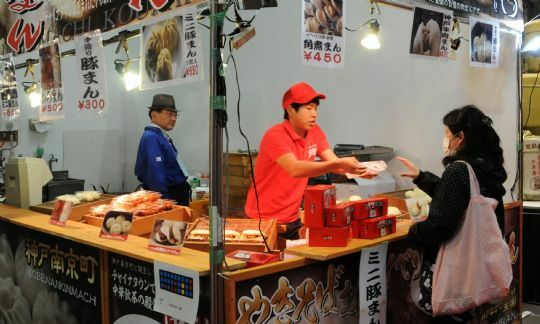 There is also a dedicated space at the expo to introduce Chinese dishes made mainly with local ingredients from the Kansai region. Among them are foods with a spicy or black vinegar sauce made from catfish and carp caught in Lake Biwa located in nearby Shiga Prefecture. Another example is a wonderful assortment of Chinese sweets presented by a group of local chefs using chestnuts, beans and tapioca on a 50-centimeter plate in the shape of the lake.